To the hair trend whose presence has graced every listicle, every millennial's Pinterest board, and nearly every salon across the world - this one's for you. We've featured our favorite gray hair looks before, but this time we're getting down to business with all there is to know about #grannyhair. Gray hair dye immigrated on the same ship as metallics and pastels, and millennials haven't thrown it back out to sea just yet. For a few years now, people in their teens, twenties, and thirties have tested the waters with gray hair dye, stripping their natural locks of any pigment and opting for a risky new color. 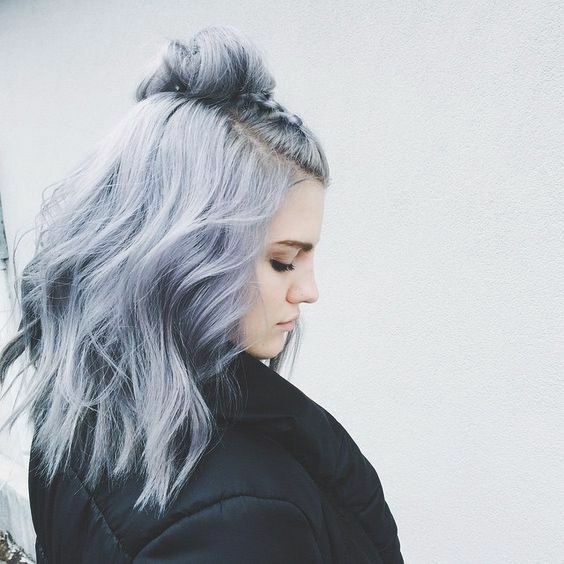 From platinum silver to the deepest charcoal gray, take a look at the sleekest silver hair colors, or jump down to our DIY Guide. 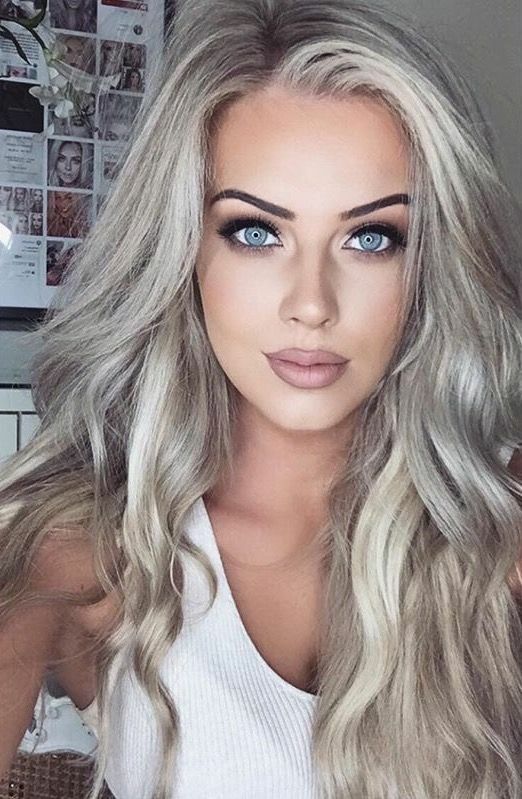 The blonde hair, blue-eyed look is classic, but silver-toned blonde spices it up while still testing out the gray hair trend. Dark and colored shadow roots are super popular and add an edge to sleek silver locks. 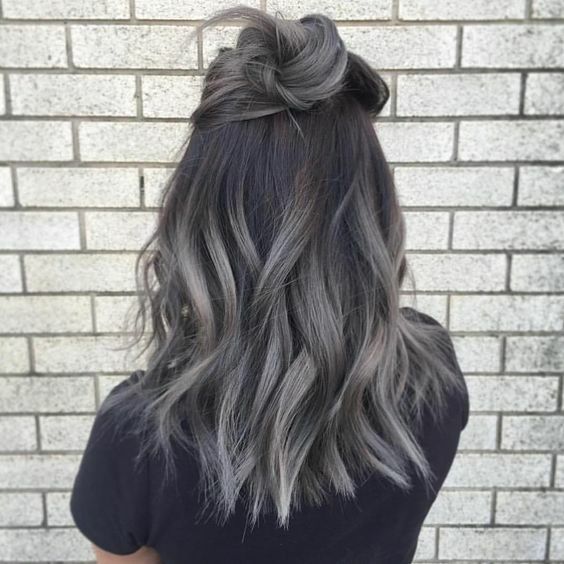 If you have naturally dark hair, try out an all over gray. It'll blend nicely when roots start to peak through. 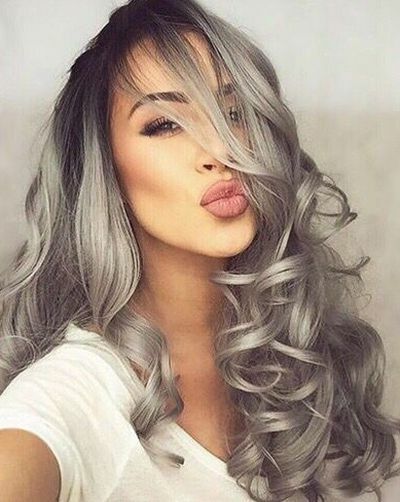 An ombre gray like this would require some serious elbow grease from your hairdresser. 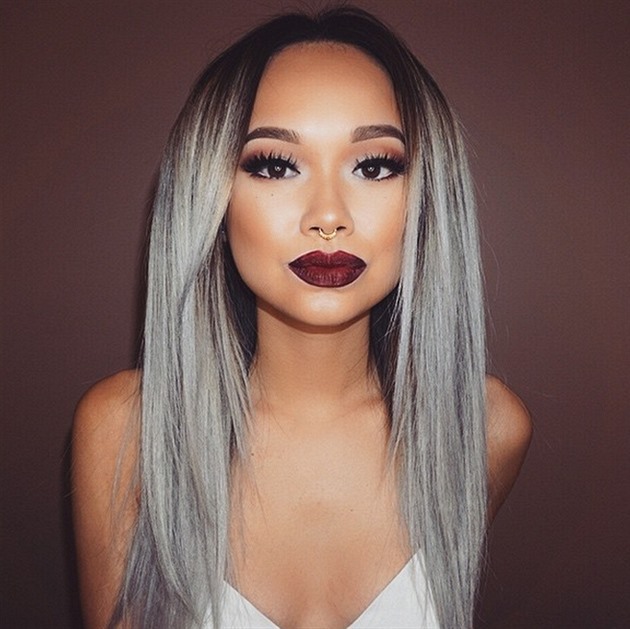 From bleaching to coloring, to blending dark roots, this ombre belongs all over Instagram. Ladies who love to play with hair color, try a cold blue-gray for a refreshing summer look. 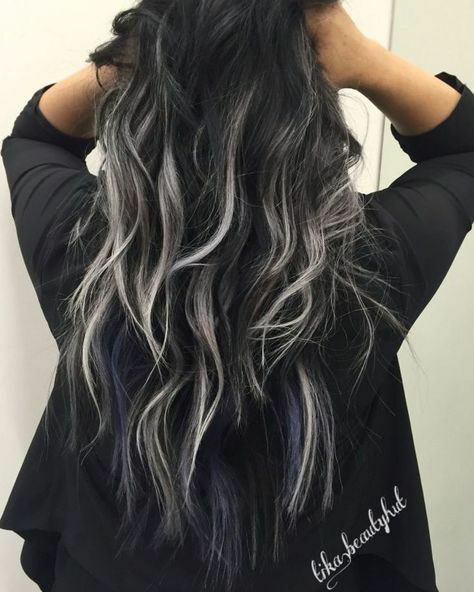 We're totally obsessed with this silver and navy balayage. The best part is -- you can throw in any bold hue, and it'll blend beautifully. The color charcoal is everywhere now, but it's completely versatile between work and play. You've decided - gray hair is a go. But we'll warn you... achieving the right shade of gray isn't one of those DIY projects you throw together after watching a couple YouTube tutorials. It's a process, and inevitably, there are fewer risks if you hit up your salon to do the dirty work. But we know we have some dare-devils who will go gray from home regardless, so we have some guidelines to help you do it as safely as possible. We encourage you to follow the steps below if you want an overall gray color, rather than a platinum, balayage, or ombre. Start conditioning treatments as soon as you decide to go gray. Lay off the heat, and wash less frequently. You won't achieve the smoky, smooth gray color unless you completely get rid of the pigment in your hair, so you'll need to get it bleached. This is the trickiest part, and we highly recommend going to a hairdresser for this step. For more details on bleaching your hair, check out How to Get White Hair: The Process From Start to Finish. Once your hair is lightened, it's a good idea to wait a few days before coloring. Gather the following items: rubber gloves, vaseline, a comb, four hair clips, a towel, and the hair color of your choice. If you're braving box color at home, try a test strip first. Your final product fully depends on your base hair color and the current state of your strands, so by experimenting on a small section underneath, there won't be any surprises when you apply the hair color. Separate hair into four even sections (2 on top and 2 on bottom), and clip. Line the outside of your hairline with vaseline to ensure the hair color doesn't dye your skin. Mix hair color, and apply all over. Start at the roots and work your way down the strands, coating one section at a time. Each formula is different, so be sure to read the directions to determine how long your color needs to process. Once the color has developed, rinse out with water, shampoo your hair, and condition it. Use a shampoo and conditioner for color-treated hair. Trim your hair as needed. Touch up color as it fades with the same box color you used the first time (usually around four to eight weeks). 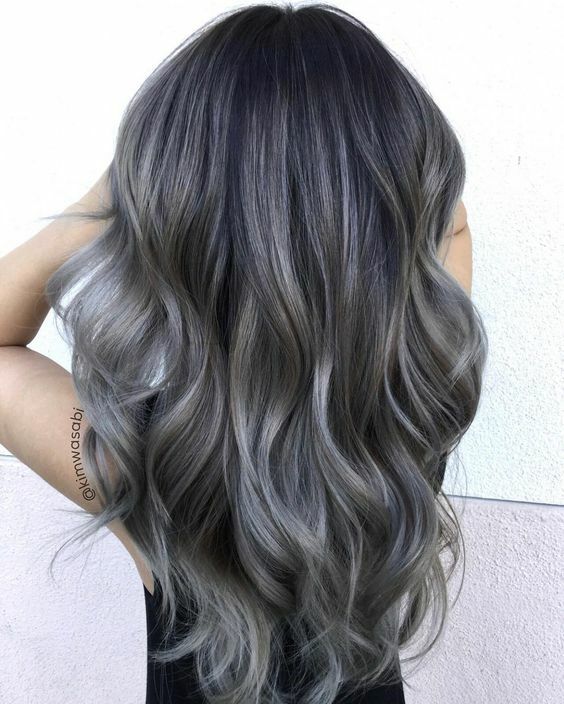 For those bold souls willing to try the beloved gray hair trend -- let us know by tagging us on Instagram or Facebook @hairstyleonpoint. We're dying to see how it turns out.